The Sensex gained 253 points to trade at 39,158 levels and the Nifty rose 65 points to 11,755 levels. 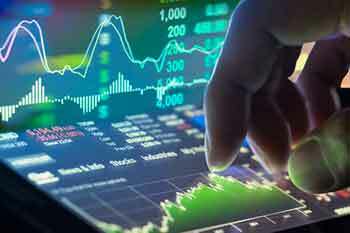 Equity benchmark indices opened on a positive note on Tuesday in tandem with its Asian peers with investors focusing more on earnings of the companies for the final quarter of FY19. Among the stocks, Indian Oil Corporation, ICICI Bank, Coal India, Infratel, and Vedanta were the top gainers on the NSE. On the flip side, Tata Motors, Infosys, Tata Steel, ONGC, and HDFC Bank were the top losers. All sectoral indices were trading in the green on the NSE except the Nifty Realty index, which dropped 0.50%. Notably, Indian VIX was trading on a flat note, declining 0.43%. Market breadth was positive on the NSE with 1,023 shares advancing, 479 shares declining, and 555 remaining unchanged. Besides, shares of Wipro were trading marginally higher on the BSE ahead of the release of its Q4FY19 performance numbers. Further, investors will be keeping a close watch on Polycab India, which will make a debut on bourses on April 16. The final issue price is fixed at the higher end of the price band of Rs533-538/share. The Rs 1,345cr public issue saw a massive subscription of 51.96 times during April 5-9, 2019. Interestingly, Metropolis Healthcare, whose shares got listed at Rs960 a piece, a 9% premium to its issue price on Monday, extended its gain and is trading 3% higher on the BSE.